We are very luck to have a super kitchen which cooks wonderful meals for our children every day. All Infant children now enjoy a free dinner every day and have the option of the two main dinner choices (vegetarian options are always available), the salad bar or a sandwich, as well as a choice of puddings. 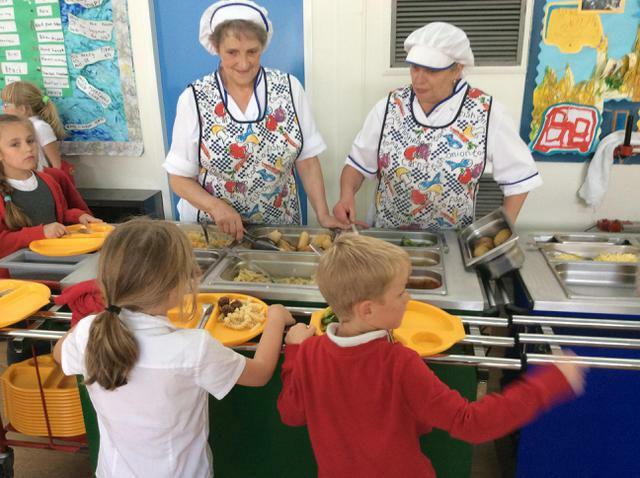 Dilys and her team know all the children well and always ensure they have a good lunch!